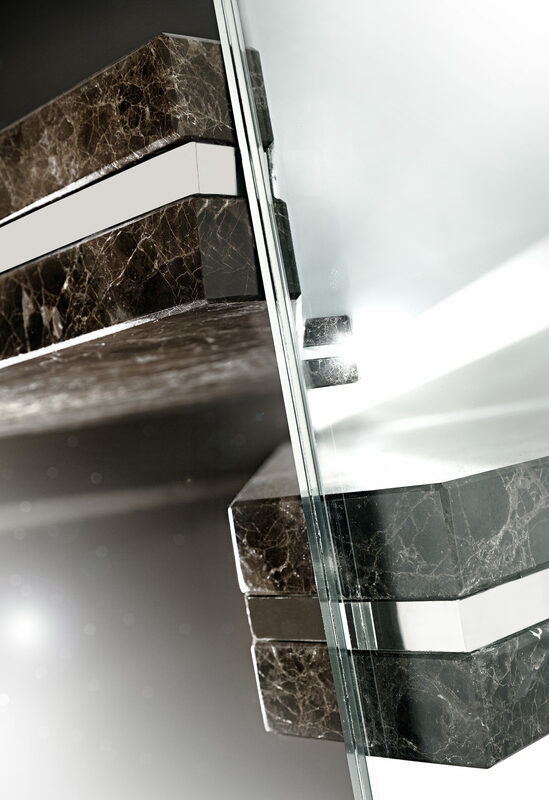 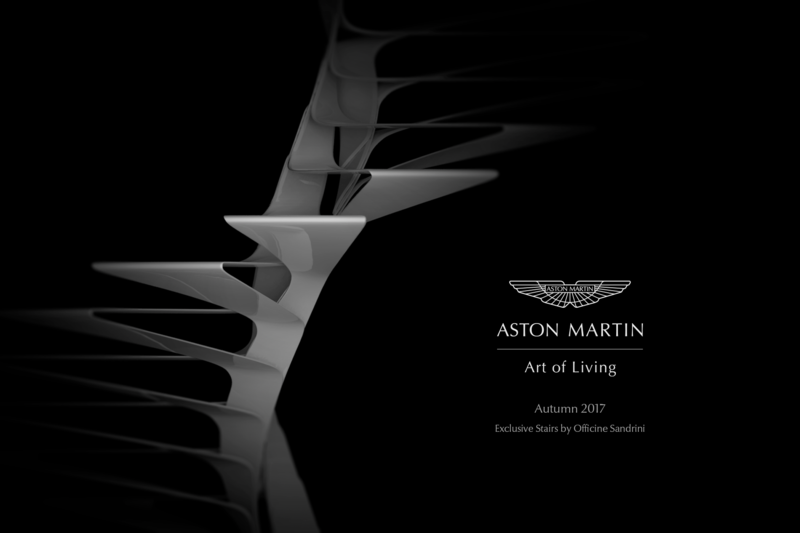 Uncommon and fine materials, architectural mastery and the desire to amaze are the main elements of our new Luxo line. 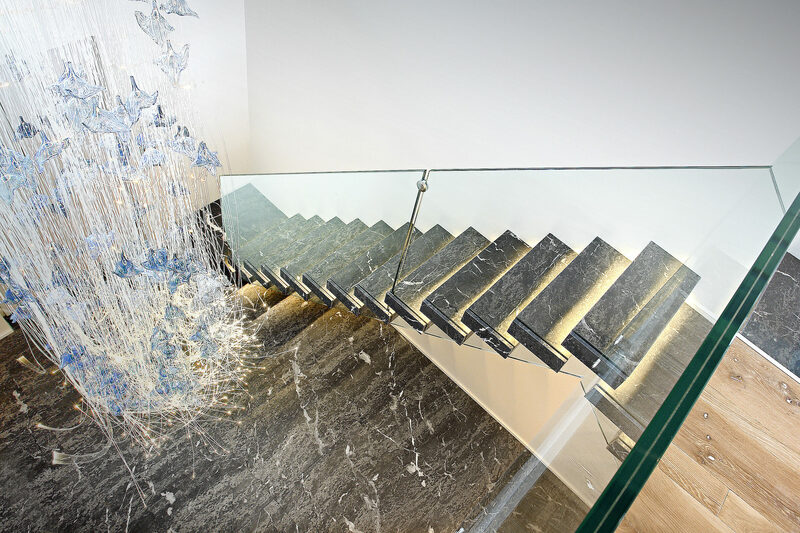 Corian, marble and leather are the chosen basic upholstery elements. 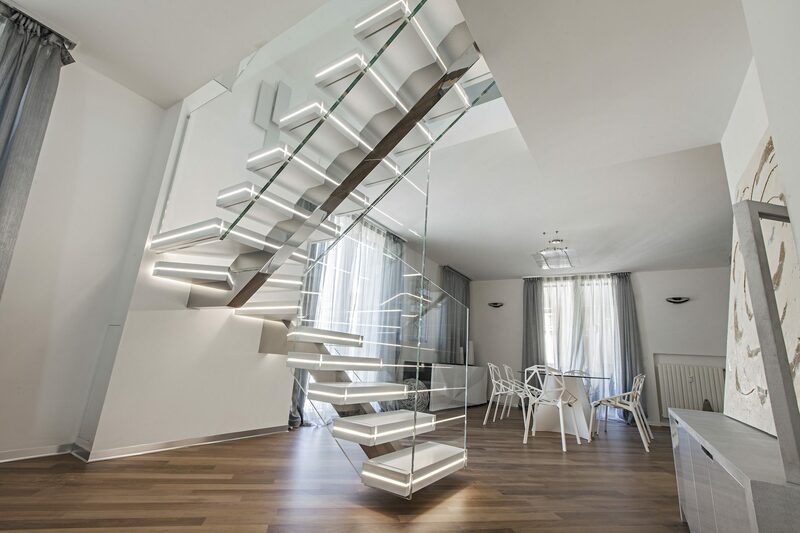 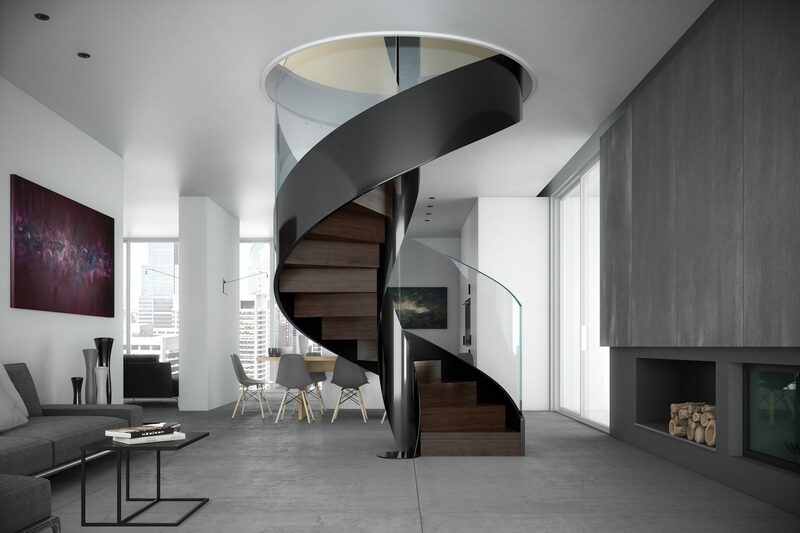 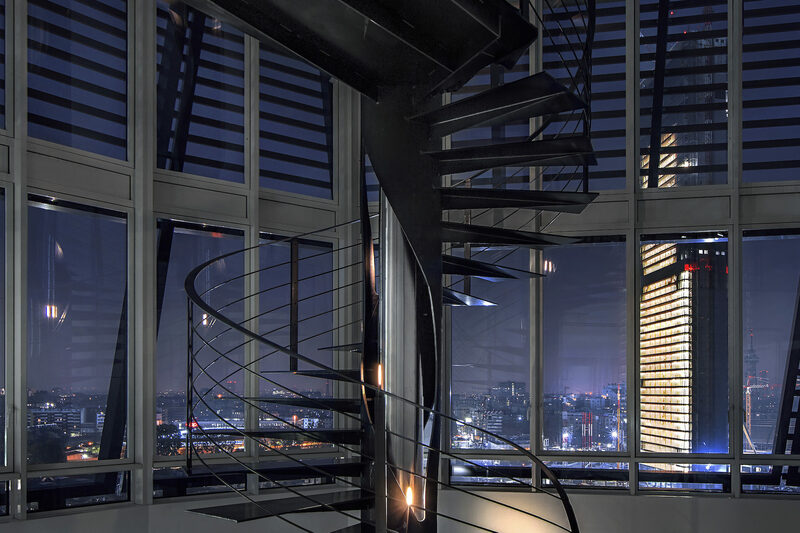 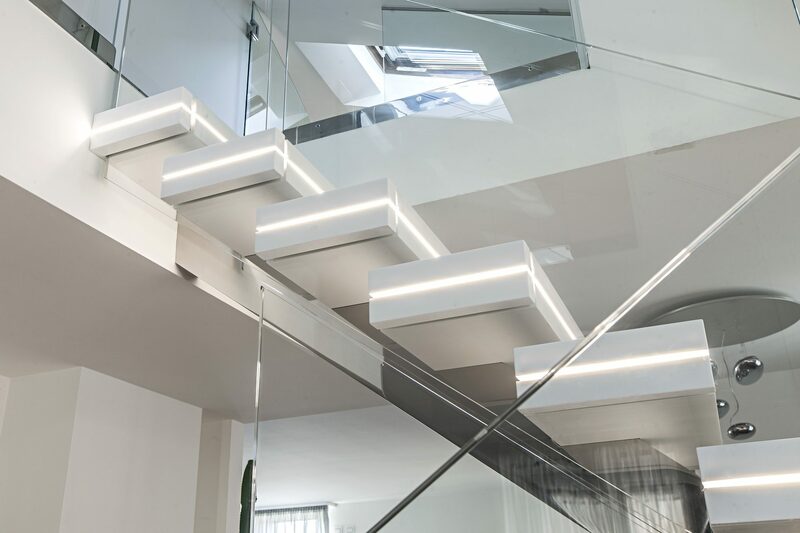 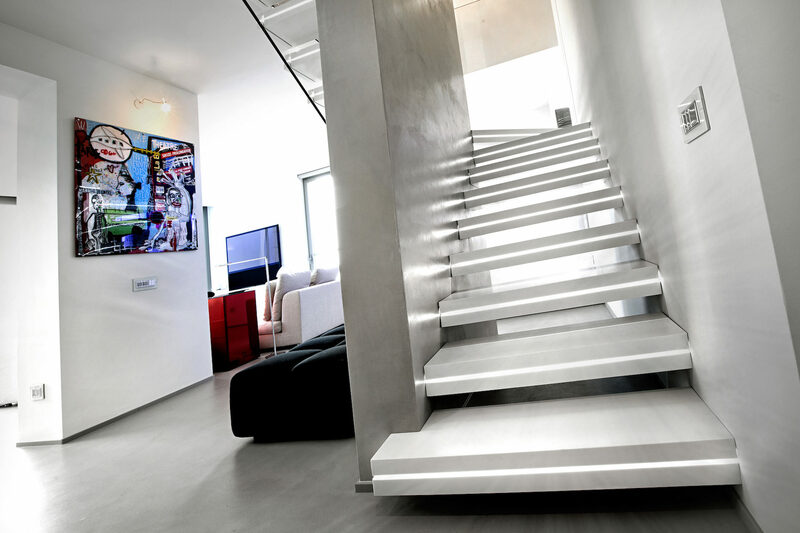 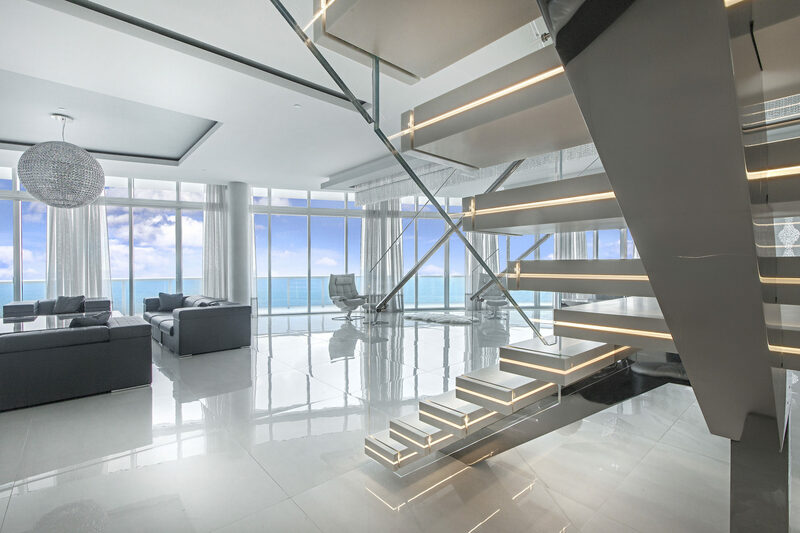 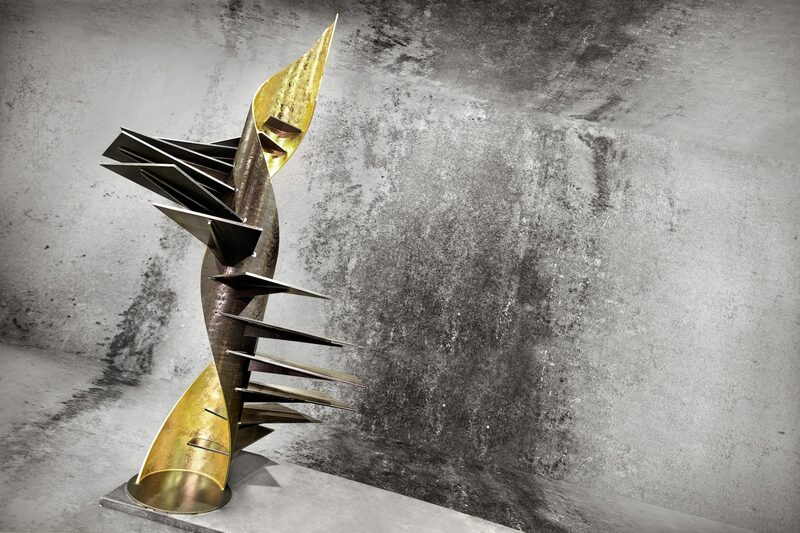 Every single step of the Luxo staircase is adorned by a ray of light, thanks to a backlit LED central steel insert. 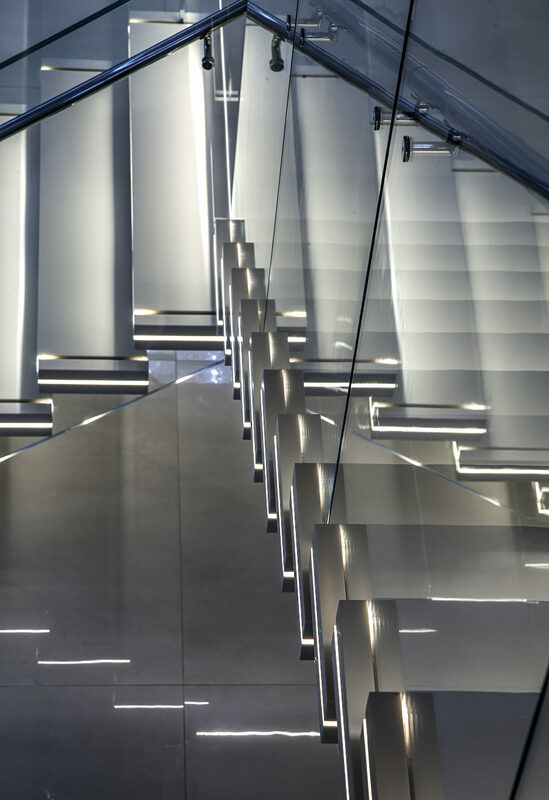 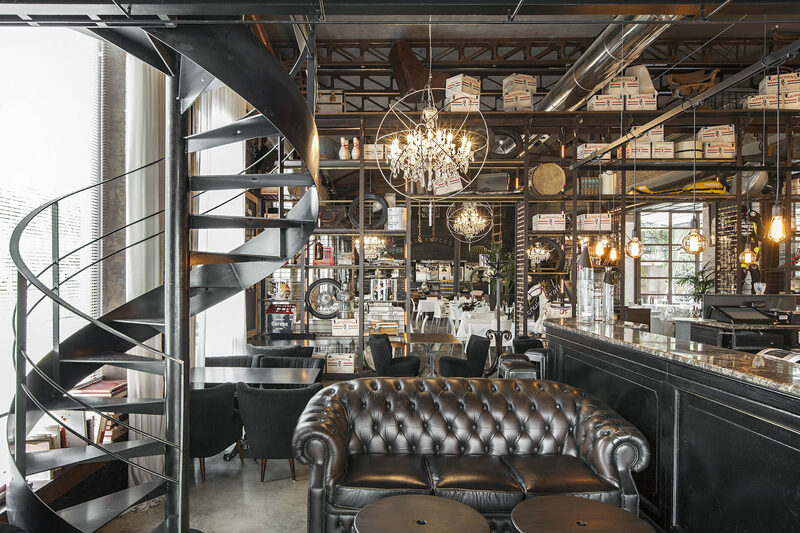 A magical nocturnal atmosphere irradiates the environment, soft sensations of light blurs the hard architecture of the staircase with the rest of its surroundings. 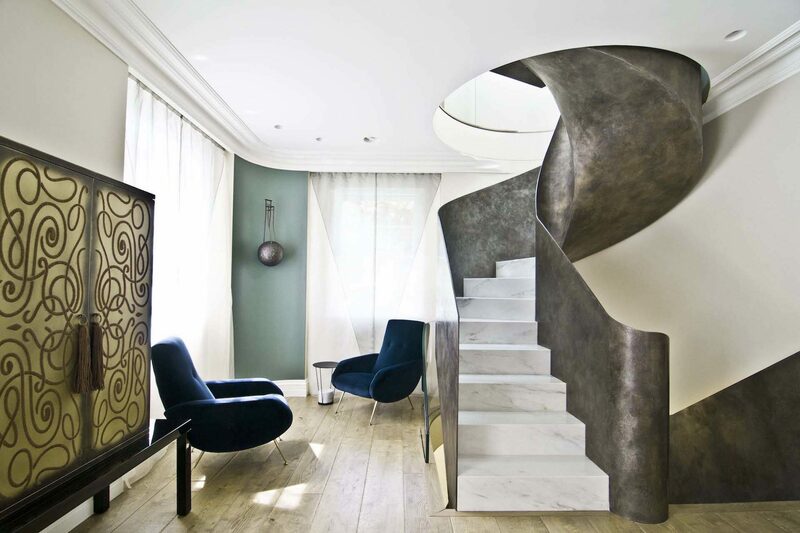 Sunlight enhances every version of the Luxo staircase. 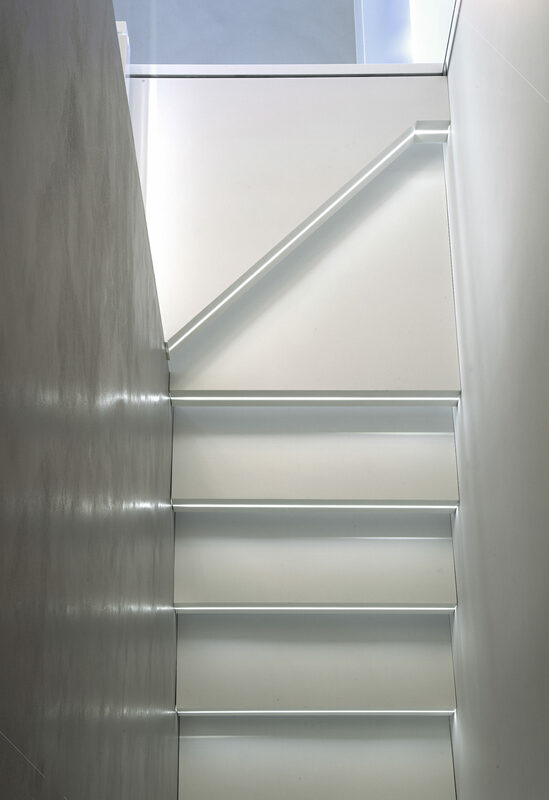 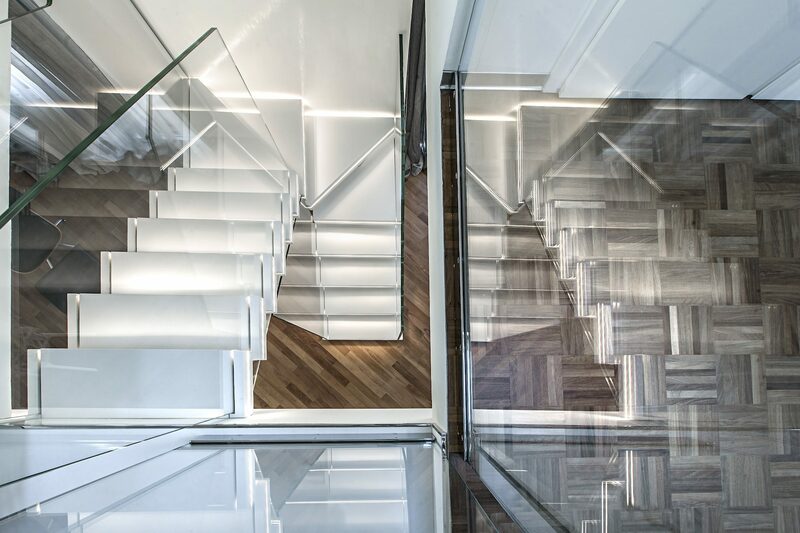 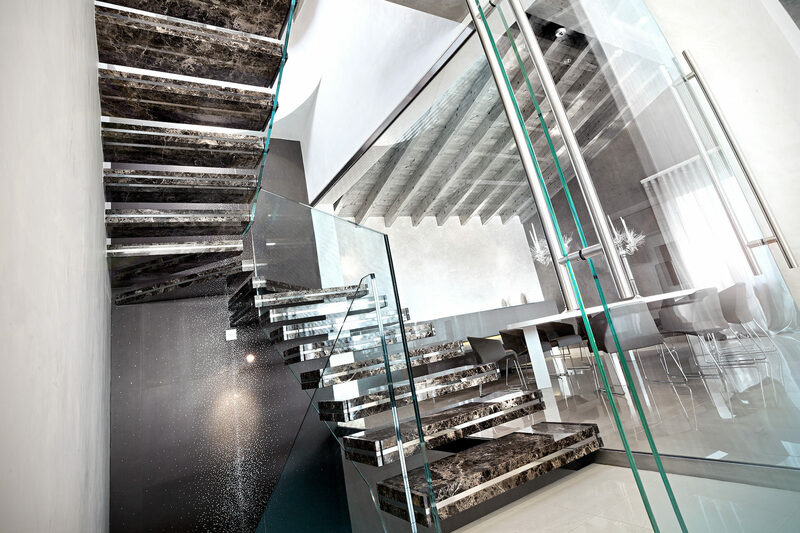 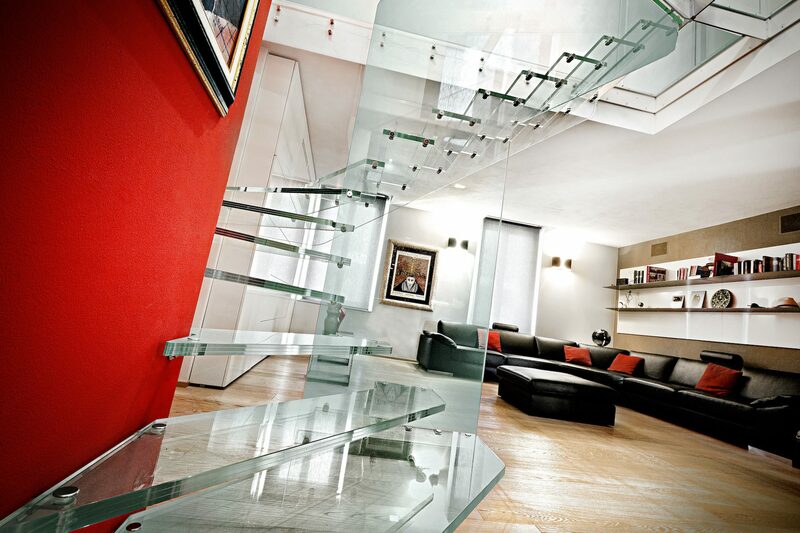 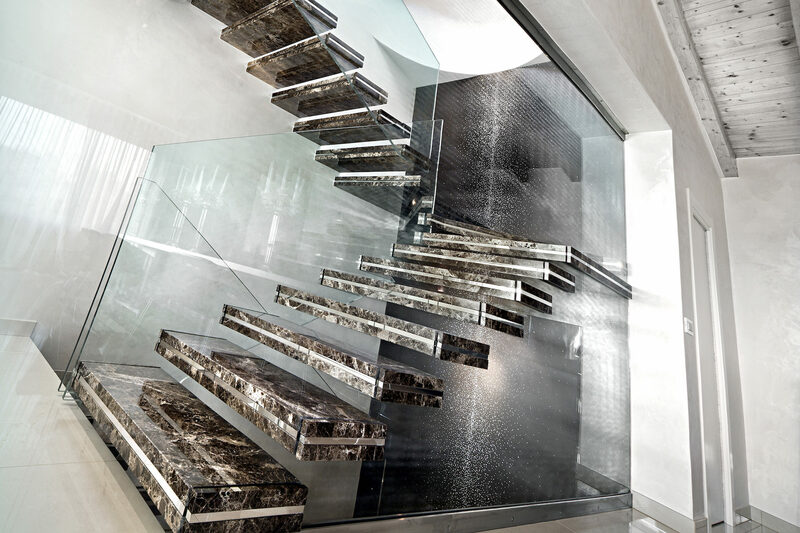 The materials are used with knowledgeable mastery in order to bring out the staircase’s full potential. 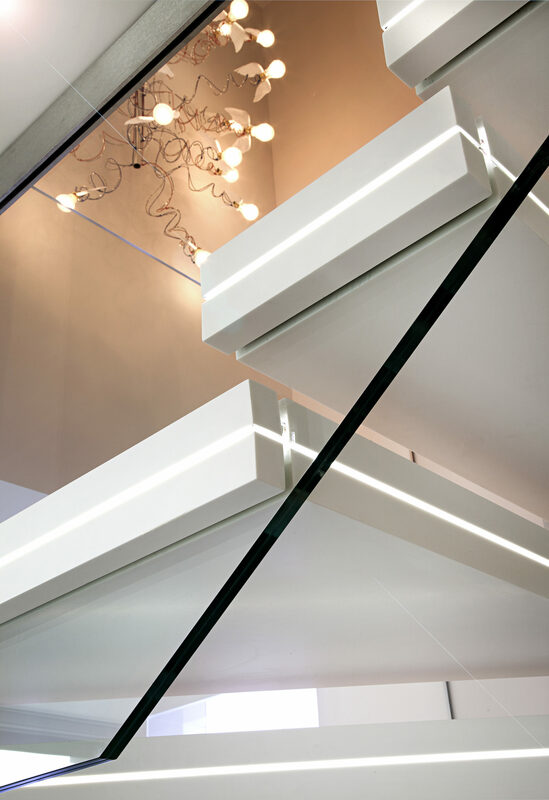 Every detail with Luxo is important for the final design, every finishing needs to be of the highest level. 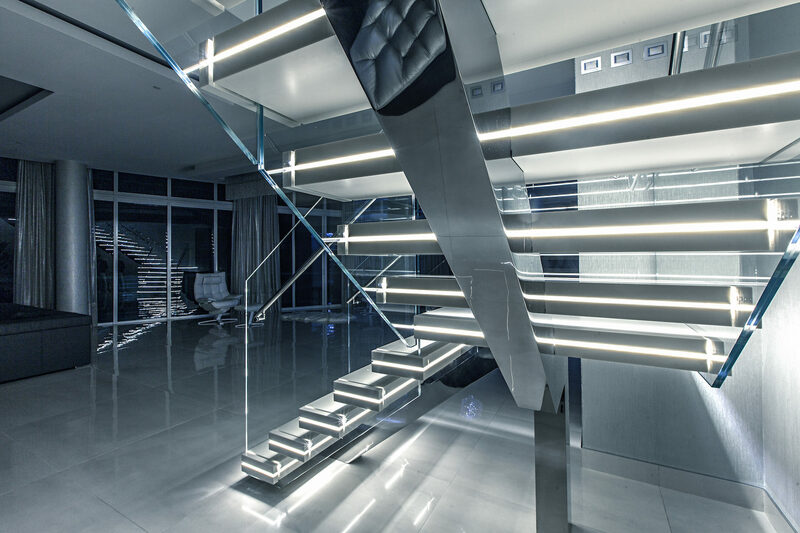 Space, light, architecture. 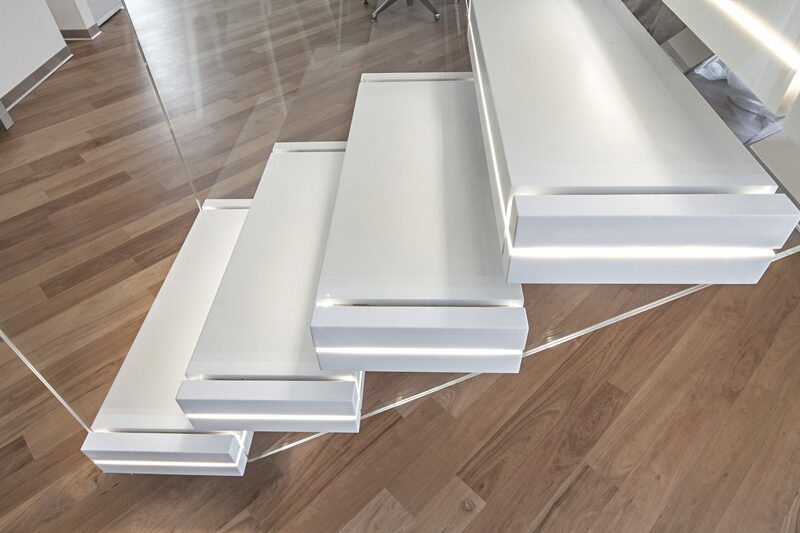 The incredible scenic effect of matter finds in Luxo its maximal expression.